Q: Where are the best used car deals in Ankeny, IA? 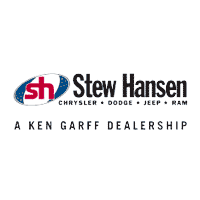 A: Stew Hansen is proud to have the best car, truck, and SUV deals in the Des Moines area, including Ankeny, Clive and Urbandale. We have an ever-changing inventory of Chrysler, Dodge, Jeep and Ram vehicles. Check out our new car specials and used car specials to find the deal the fits what you are looking for. Q: How can I buy a car with bad credit? A: Stew Hansen Dodge Ram Chrysler Jeep can help you finance your new or used car–even with no credit! We can work with your financial situation to get you into the car you want. Call (888) 375-5603 to speak with a finance staff member about specific questions you might have or start your application now. Q: Does my certified used car come with a warranty? A: All certified pre-owned cars from Stew Hansen Chrysler Dodge Jeep Ram come with a manufacturer’s warranty. You can have peace of mind buying a used car from Stew Hansen, because you’ll know that your purchase is backed up with a great warranty. Stew Hansen serves the people of Urbandale, Ankeny and Ottumwa so come take your new or used car for a test drive at our dealership located at 12103 Hickman Rd., Urbandale, IA 50323 or give us a call at (877) 841-4585 for any questions. A: Use our easy Value Your Trade tool to give you a headstart in selling or trading your car with Stew Hansen Chrysler Dodge Jeep Ram. After you know what your car is worth, check out our new inventory and our used car inventory to get yourself moving up and forward with the car meant just for you.